Drum Cabinets Accessories | Chrom Tech, Inc. Handle heavy steel drums with ease! 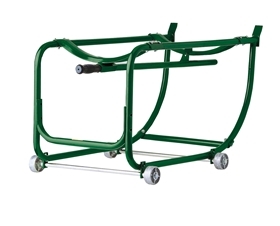 Drum Cradle allows for easy moving and secure setup of drums weighing up to 600 lbs. Loading bar grips drum chime and permits smooth shifting of drum into horizontal position. 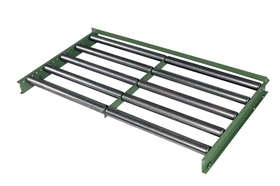 Drum rollers help facilitate movement of heavy, full 30- (110L) or 55-gallon (200L) drums in vertical drum storage cabinets. 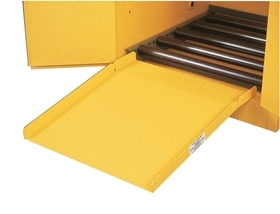 Drum ramp securely fits over cabinet sill to aid in loading drums with a hand truck. New flat deck offers stable position for dolly during unloading. Customize your new cabinet with additional shelves. Meet specific workflow needs with galvanized steel shelves. They hold up to 350 lbs and adjust on 3" increments for versatile storage. They can be used on old style Lever handle cabinets and Sure-Grip® style cabinets.